Atmotube links to a smartphone app that tells you if the air you are breathing is toxic. 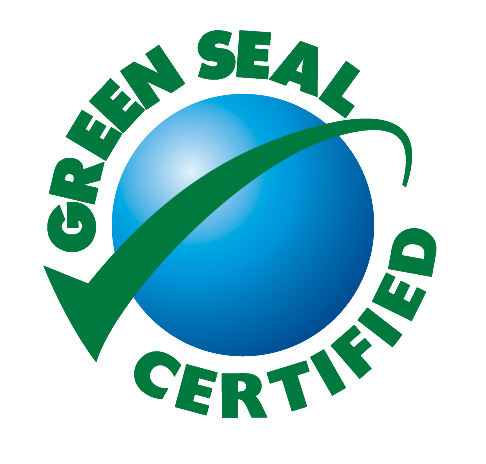 It measures a number of volatile organic compounds (VOCs), carbon monoxide, and even cleaning agents or allergens that might affect your lungs. Portable air quality tracker Atmotube aims to be the Waze for air quality tracking in your city. The device is a tiny tube that you can carry around in your pocket or put on a key chain to monitor the air in your environment. Others have tried to create similar devices. The University of California, San Diego, built a test fleet of air quality sensors that hooked up to a smartphone a few years back called CitiSense. Intel built a device in 2010 for its Common Sense Project, which tested the air in West Oakland. Both were just concept projects. 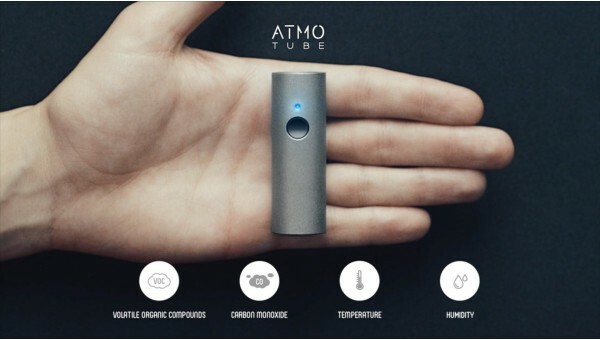 Atmotube is a device currently being manufactured for consumers. Over time, exposure to carbon monoxide and volatile organic compounds has been linked to an increased risk of heart disease, stroke, liver and brain damage, and even cancer. The app will show a number from 0 to 100 (0 meaning you are dead from toxic poisons, 100 meaning the freshest of air) and a map of air quality in your city from other places where the Atmotube has picked up and logged what’s going on in the environment. The battery life is also worth mentioning. It will last up to one month on a single charge if you set Atmotube to take measurements every 60 seconds. Fewer measurements means a longer charge, according to Atmotube. Atmotube constantly measures air quality and updates in real-time. Should the device sense air quality getting below a certain point, it will send an alert to your smartphone. The button on the tube can set to whenever you take a measurement or to “continuous mode” to take a measurement every 10 seconds. “You’ll eventually need to leave the room or crack a window or you’ll get a headache,” she told me later. She also pulled up a map of air quality in San Francisco. The SOMA neighborhood seemed to be okay, as were most parts of the city, but North Beach was red hot with air pollution, according to the Atmotube app. Kozyr and her co-founder Igor Mikhnenko, who works on UX design and helped design the Yotaphone at NotAnotherOne, said they created Atmotube because it was time they got to make something for themselves instead. Kozyr told me it was tough to find the right exterior shell for Atmotube because a lot of what is produced from 3D printers or manufactured in China would set off the sensors for toxic materials. The two founders went to China to find the right parts producer for Atmotube and said the air was so bad there it never got above 50 on the sensor the entire time. The device is actually a side business out of Russian IoT hardware production company NotAnotherOne, where Kozyr is credited for inventing the Yotaphone, a dual-screen smartphone used in Europe. The tube casing for Atmotube is constructed of stainless steel so it doesn’t set off any alarms. Atmotube is now up on Indiegogo, starting at $79. Check out the video above to see how it works and to find out more.